Cloud Hosted Contact Center solutions are well on their way to replacing on-premise solutions. The cost savings are up to 50%, and they have a large number of features considered out of reach of all but the biggest contact centers. Not anymore. Many contact centers are competing to be the choice of small and medium sized businesses. The two that we will look at today are inContact and Five9. inContact, founded in 1997, is a carrier in addition to a contact center provider, so they can offer phone and data in one package. As a carrier, they also have access to more phone numbers, so you are more likely to get the toll free or vanity number you want. They connect over a billion calls per year. 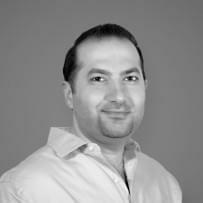 Five9 was founded in 2003, and since has been recognized by multiple business magazines as a fast-growing company. They connect over 3 billion calls each year. Both inContact and Five9 are compatible with hundreds of third-party integrations. But they write their own platforms differently. inContact has their own team of coders, which is always working on new software. Five9 partners with or acquires other companies that have successfully developed programs. Five9’s Quality Monitor software was developed by NICE; their social media platform was developed by SoCoCare; their speech recognition software was written by Nuance. Whether you prefer a company that uses in-house developers or acquires other programs is up to you, because neither philosophy is better or worse than the other per se. Automatic Call Distributor – Routes the calls to the best agent available. Interactive Voice Response – Guides the inbound customer to the right department using voice recognition. Workforce Management Software – Analyzes length and volume of calling to set a better schedule. Customer Satisfaction Surveys – Asks customers to rate the agent immediately following the call. Inbound, Outbound, and Blended Calling – The actual call capacity, whether more calls are outbound, inbound, or a mix of both. Dialer – Outbound and blended call centers dial electronically from a list of approved numbers. Screen Pops – Also called CTI, is the information that appears on the screen when an agent is on a call. The screen can show the customer’s profile, suggested scripts, and KPI’s. A contact center is only as good as it availability. Contact centers are often running 24 hours a day, 7 days a week, and most are available on holidays as well. An availability of 99.999% means the system may be down for up 25.9 seconds per month, or 5.26 minutes per year. An availability of 99.99% means it may be down 4.32 minutes per month, or 52.56 per month. Remember, this time is cumulative, not all at once, and that scheduled maintenance is not counted. Many providers offer a Service Level Agreement, which is a guarantee that the system will be available for the advertised time or they will give a partial refund. The term “five nines” refers to 99.999%, and is where Five9 got their name. Yet, I couldn’t find an SLA to that time on the Five9 web site. inContact advertises 99.99% availability, and they back it up with an SLA. An IVR, or Interactive Voice Recognition, is software that routes calls according spoken commands. More commonly, it’s called a phone tree. Customers generally have mixed feelings about IVRs, because when they work well, it saves them time and hassle, but more often than they’d like, they end up pressing the 0 button over and over again or yelling at their phone. IVRs work best to handle questions with one answer, like an account balance, or hours and directions; this way, agents spend more time handling more critical problems. As you might guess, an IVR has to pick from prerecorded prompts or use text-to-speech. So a quality IVR must both be able to talk and listen. Five9 speech recognition is powered by Nuance, the company that gave us Dragon Dictation. inContact wrote their own Natural Language Programming speech recognition engine, which is highly rated. Both providers make it easy to set up the call flow with a visual control panel. Instead of a complicated code, all you need to do is drag and drop icons and connect them. inContact and Five9 both support multiple languages. 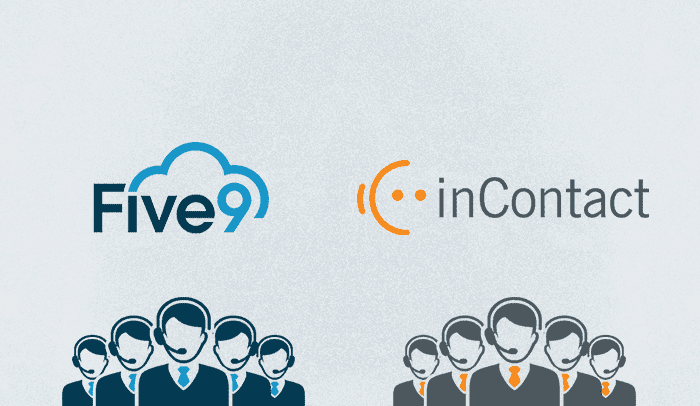 Both Five9 and inContact offer inbound, outbound, and blended plans. An inbound plan, which is more often for support, should be flexible enough to accommodate fluctuations in demand. A new product release or increase in sales will also increase the number of calls to support. Cloud based services should be able to scale quickly, and both Five9 and inContact have the capacity to add or subtract seats in a matter of hours. Calls need to be routed according to availability, area of expertise, and level of expertise. The ACD figures out which agent is best for the customer in milliseconds. This feature, called Skill-Based Routing, is available on both Five9 and inContact. Outbound calls, which are more often than not sales calls, need to make the most of both the agent’s and the customer’s time, which means the dialer must make several calls quickly, and when one is picked up the agent must be connected to the phone and the information about the customer must be on the screen. If there is even a two second delay between the time the phone is answered and the agent speaks, it makes the customer uncomfortable. Five9 offers predictive, preview, progressive, and power dialing. inContact offers progressive, predictive, preview, and voice drop dialing. A blended solution combines both inbound and outbound plans. In addition to the capabilities of both individual plans, the blended plan must also intercept outbound dialing and connect those agents to inbound calls. Five9 and inContact both offer blended solutions. Multi-Channel Communications means that instead of calling in or out from the phone, you can also connect with a customer through other avenues, including social media, email, SMS/texting, chat/IM, and even messaging the customer’s blog. Five9 is a winner in this category. Five9 supports more major social media outlets, and has a panoramic timeline that tracks interactions across multiple channels. They also have something called a visual IVR. A visual IVR means that when you use your smart phone, instead of hearing and then dialing, you read the message on your phone, and then press the button. For automated messages, it’s much quicker to read than listen. Both Five9 and inContact support call-back, which is a great feature to save the customer hassle. Rather than wait on hold, the ACD saves their place on the queue and calls them back when their call is next. New generations of contact center have a new feature that takes advantage of the BYOD trend. The supervisor app uses swipes and pushes to activate features and add or remove agents from a queue. Information about individual calls and the entire call center is given in real time to the supervisor. As of this writing, the app is available for the iPad 2, iPad Air, and iPad Mini, but is not available on Android or Kindle tablets. Both Five9 and inContact have their own take on this app, but it performs similarly in most ways that matter. Today’s contact centers need to be integrated with CRM software to keep track of customers’ information. 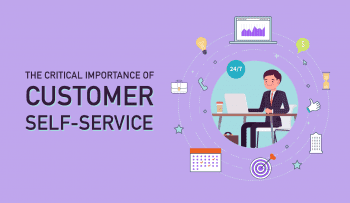 With CRM integration, any information about the customer collected during the call is fed into the database, so the data can be collected and analyzed. The customer information can then be shared within the company. Also, agents can call the customer with a click of the mouse from within the CRM software. Five9 easily integrates with Salesforce, Leads360, Oracle RightNow, NetSuite, Velocify, and Microsoft Dynamics CRM; they also have a native CRM program. inContact comes ready to integrate with major CRM providers as well, and they can be made to fit custom CRM software. Every Five9 subscriber can get in touch with technical support 24/7/365, either by calling, email, or using the customer support tab in their control portal. Simple enough. The one higher tier is Premium Support, which gives you a dedicated Technical Account Manager, regular account reviews, consulting reviews, and a more personalized technical support structure overall. inContact has multiple tiers of customer support. Care, which is included with all plans, has 24/7 emergency care, but 12-5 customer care, and some services are fee-based. Care Plus increases it to 24/7 customer care, plus a dedicated Customer Service Manager is added to your account; there are also discounts on certain fee-based services. At the Premier level, you get a dedicated Technical Support rep assigned to your account, some discounts, and more assistance. At Premier Success, you get higher priority in the queue, more one-on-one time with your CSM, and some more discounts. Finally, at Premier Success Plus, you get a monthly strategy session, quarterly reviews with the CSM assigned to your account, higher priority given to your case, more discounts, and—if you can make it to Salt Lake City—Unlimited scheduled training sessions at their HQ. Also of note, 80% of their calls with all service packages are answered within 60 seconds. For simplicity, Five9 is better, but if you can afford to get the higher service tiers with inContact, you get more than just technical support. There is mostly overlap between the two providers. They both have been in business for over a decade, they both offer a reliable platform that is packed full of features. They both offer their own innovations. There is little that one company does that the other doesn’t. 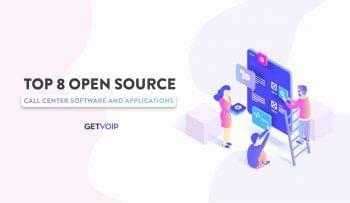 The biggest difference is that inContact is more focused on building their own platform, which includes having built up a massive carrier-grade infrastructure and writing their own apps, while Five9 is a little more interested in partnerships with other companies. When it comes to the actual service, you won’t find a big difference between the two because there is so much overlap when it comes to the actual user experience. We recommend that you work with a dedicated sales agent from either company that will match your needs and give you the best price.